My girls love cheese. They love crackers. They love cheesy crackers, especially the ones shaped like fish. I of course am becoming increasingly greedy with my allotted bi-weekly food funds. 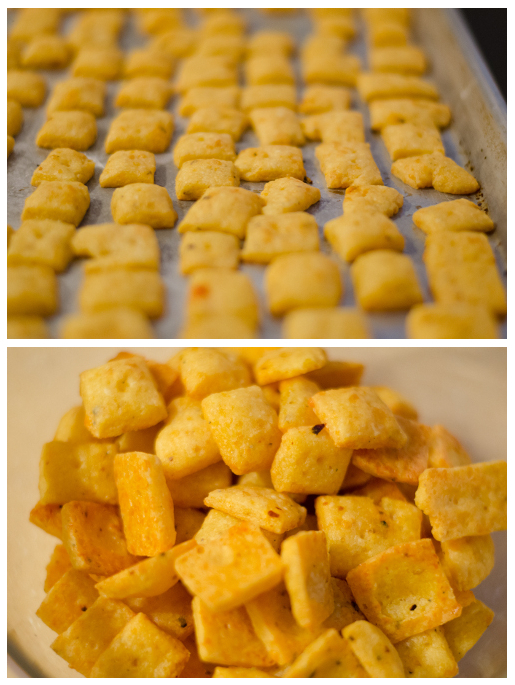 I’ve seen many cheddar cracker recipes floating around Pinterest and decided it was time to make some. It’s fairly simple, you’ll make a little bit of a mess, but no worse than any other baking. Which means I ended up with flour on the microwave mounted above the stove. No, I’m not totally sure how. 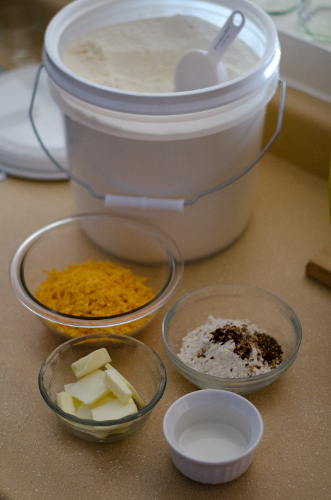 Place ingredients except the milk into food processor and pulse until crumbly. Don’t be like me, put the blade in BEFORE the ingredients. Add in the milk until dough forms into a neat little ball. If you need a little more milk to make it all come together only add a little bit at a time, you don’t want the dough to get too wet. The dough is tasty, not that I know or anything.. 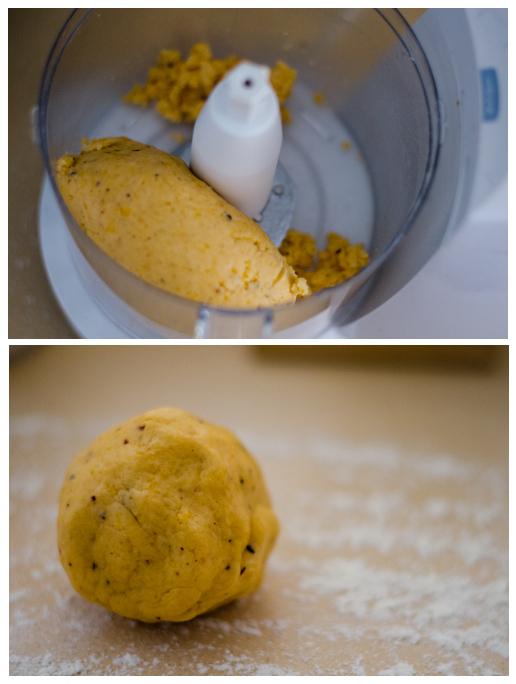 Roll out the dough onto a floured surface to about 1/8″ thick. Mine were likely thicker, but I’m a poor judge of eyeballing measurements. 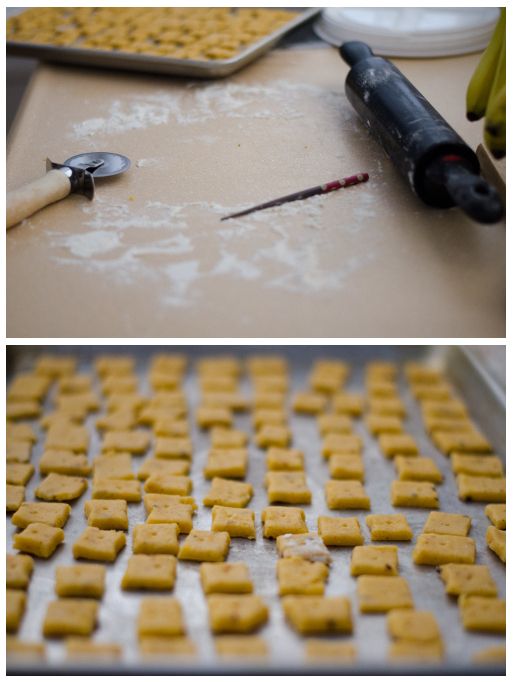 Cut into 1″ squares, or any shape you fee like really. I greased my sheet pan and put the “squares” on then stabbed them with a chopstick to make a little hole (likely for steam to escape, but I’m not Alton Brown, so don’t expect a solid explanation from me). Oh this mess better be worth it! Bake until the cracker edges begin to brown nicely. Or get impatient and take them out a little too soon, like me. Sophia didn’t like them. My cheese adoring child said she hated them. David tasted them and said I should have added Parmesan. 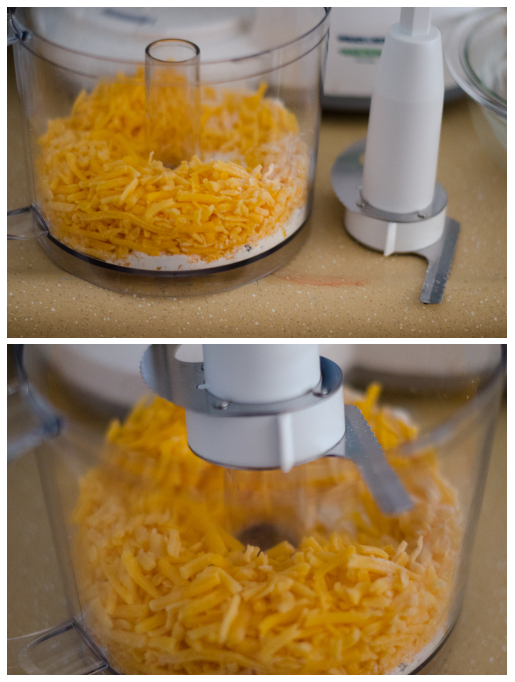 I admitted that I used the shredded medium cheddar we had on hand and not sharp cheddar like it called for. David said that was likely the cause for the not so cheesy taste. Nola though said she loved them, tried to eat them all, and then took some for her lunch for 2 days. 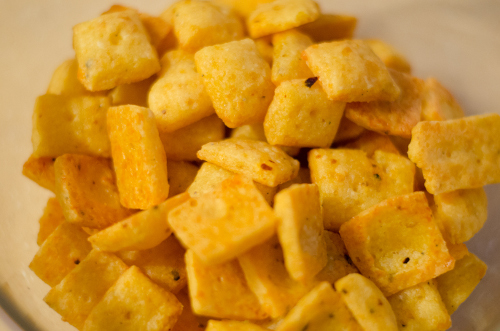 The moral of my story is to use sharp cheddar or your cheese snob child and other half will school you on your wrongs.